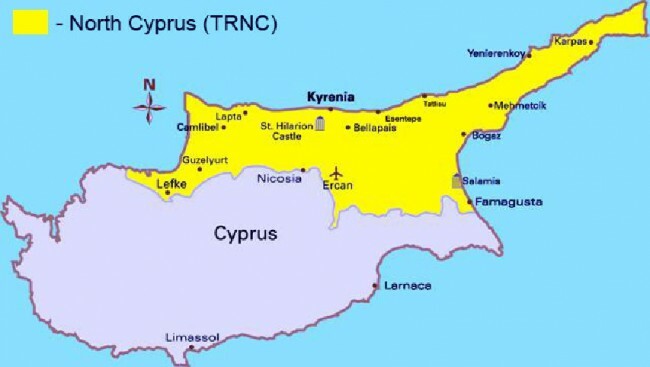 North Cyprus, known as the Turkish Republic of Northern Cyprus, (TRNC) forms part of this unique island located in the Mediterranean Sea. It is a film-makers’ paradise, where modern and traditional lifestyle sit side-by-side, surrounded by magnificent coastal and mountain scenery; where the hustle and bustle of coastal resorts mingle with quaint villages, open pasture land and ancient monuments. By comparison to other Mediterranean islands, the pace of life here is somewhat “laid-back” and the island is not over populated so filming can be undertaken without obtrusiveness and in a climate of warmth and sunshine almost the whole year round. North Cyprus Film has been created to facilitate your every need whilst filming on the island. We will ease your passage through Government and Municipal liaison, permits and licences, location selection, actors and extras, accommodation, transport and many other support services. Please check out the remainder of this website for further information and then contact us to discuss your next production. To see the potential for making a film in North Cyprus please view the official trailer of Code Name Venus below. Renowned Bollywood film director brothers, Mastan Alibhai and Abbas Alibhai Burmawalla chose Northern Cyprus in June 2012, to shoot a number of action scenes for their new film Race2, the sequel to Race, which was released in 2008. Locations included Girne’s famous old harbour and castle. A cast and crew of over 100 arrived in Northern Cyprus for the two week shoot and commented that the helpfulness and friendliness of everyone they met made the journey from Mumbai (India) extremely worthwhile.